There are plenty of fun things to do in Las Vegas with kids in 2019 - below are some of my best ideas! 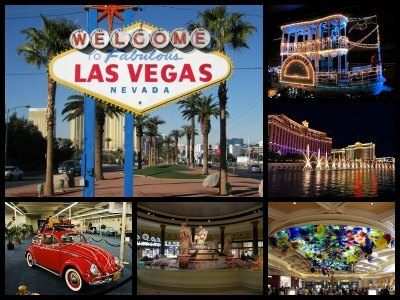 You can find here attractions, shows and tours you could do when visiting Vegas with your children. Recommended for little kids, as well as teens ! Although Vegas stopped being the ultimate family destination a while ago, but there are still plenty of fun family friendly Las Vegas activities. Besides, for some families it's not even a question whether to bring kids with them on vacation in Las Vegas or not. At least our family has no choice, as we don't have anyone to leave our kids with. So if your family is like ours, you can still get the most of your vacation. 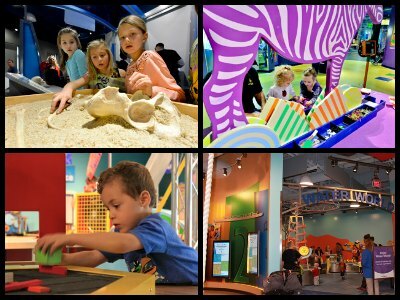 Here are some wonderful activities for kids in Vegas. 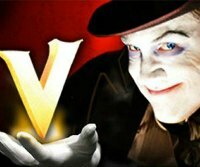 There are quite a few shows in Las Vegas suitable for little children and teens, although some of them have age restrictions of 5+. But then you wouldn't normally want to take 2 year old for a show as they can't even sit still! 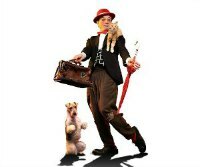 The shows we recommend for kids also include Cirque du Soleil (all except Zumanity - which is strictly adult show! However, even for Cirque du Soleil kids need to be at least 5 years old. And, of course, there are plenty of magic shows that the little ones would love! During your family vacation in Vegas, you will need a hotel to stay in. There are two theme hotels geared especially towards little children - they were actually built with kids in mind. 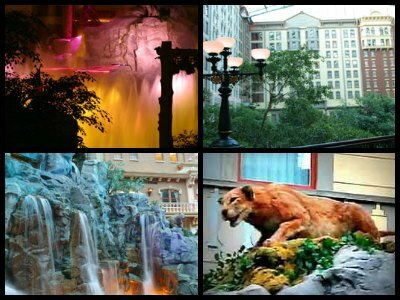 They are quite affordable and offer plenty of things to do in Las Vegas with kids. Circus Circus is built in a shape of a traveling circus, and runs a free show called Circus Acts. 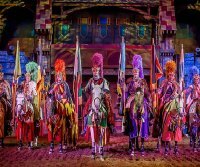 Excalibur is built in a shape of a medieval castle, and runs a theme dinner show Tournament of Kings. If you are looking for free things to do in Las Vegas with kids - there are some wonderful shows and attractions that don't cost a dime! Strictly speaking, not all of them are geared towards little children, but all of them are clean enough so kids can enjoy them together with you. Some wonderful free shows include the erupting Volcano at The Mirage, the dancing Fountains at Bellagio, the Fall of Atlantis show of moving statues at Caesars Palace, the light show of The Fremont Street Experience. Vegas is home to so many great amusement parks and other thrill rides that if your kids or teens are into this stuff, they will never get bored! 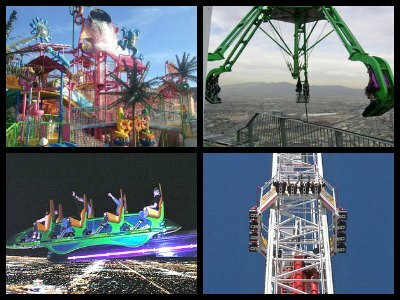 Insanity and X-Scream are insane rides located at the Stratosphere Hotel - the tallest hotel in Vegas. The Adventuredome at Circus Circus is probably the most popular amusement park in Vegas, located at Circus Circus hotel. The Roller Coaster at New York New York is a fantastic ride that goes around the entire hotel! 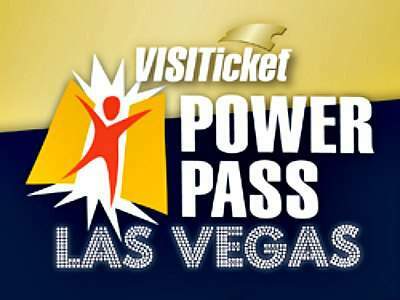 First thing you might need when looking for things to do in Las Vegas with kids when on a budget - is the Power Pass. Not that you can't do without it, but it will save you a lot of money. 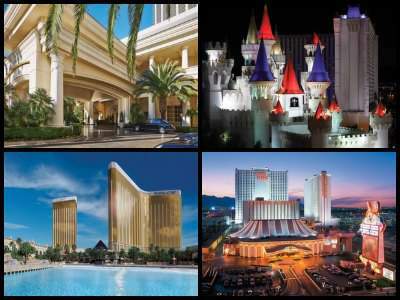 For one relatively low price you will get free access to many great attractions in Vegas. It's best to rent a car, because the Power Pass includes attractions in different parts of the city and it will be quite costly to hire a taxi and too long to travel around by bus. 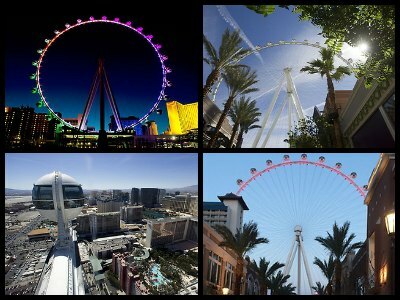 High Roller, one of the newest Vegas attractions, is an enormous ferris wheel located on the Strip. At a height of 550 feet, it is also the world's tallest observation wheel. The High Roller is located in the heart of The Linq and entrance is through a building with interactive elements and a lounge. There are 28 air-conditioned, enclosed pods capable of accommodating 40 passengers. These pods are transparent, to provide you a breathtaking view of the entire Las Vegas Valley. The 30 minute ride will also include music and video shows inside the cabin, accompanying the views of the valley. Review: Visiting Titanic Exhibit at Luxor is among the coolest things to do in Las Vegas with kids and teens. 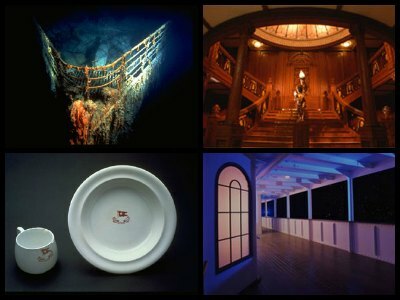 At the exhibition, you will revisit the legendary Titanic and the night of the disaster. You will see multiple artifacts collected from the depths of the Atlantic Ocean. Each exhibit has a story to tell - about its owner, about the ship. Now these artifacts are the only witnesses of the disaster that claimed lives of over 1,500 passengers the night of April 15, 1912. In addition to artifacts, you will see scrupulously created copies of cabins, the deck and other facilities of the ship, as well as the famous staircase (on the picture) in the main hall - the organizers of the exhibition did a great job recreating the luxury ship destroyed by the fatal coincidence. As you enter the exhibition, you will receive a boarding pass with a name of an actual passenger of the ship. And only in the end of your tour you will find out if the passenger on your pass survived or not. Although Titanic is among the best family attractions, it will be more interesting to older children. Review: Bodies Las Vegas is probably the most controversial exposition in the world, that has drawn protest in many countries and some U.S cities. It's still among the most popular educational exhibits for older kids and teens. However, this exhibition is not for the faint of heart, and you should know what it's about before you decide if your kids will like this museum. At the exhibition you can see real human bodies and body parts, embryos and internal organs, preserved in special balms. The bodies are shown in certain "artistic poses" - a running rugby player with a ball, or a basketball player in the picture on the left. You will be able to see in detail lungs damaged by cigarette smoke, human brain, as well as learn how the nervous and digestive systems work. 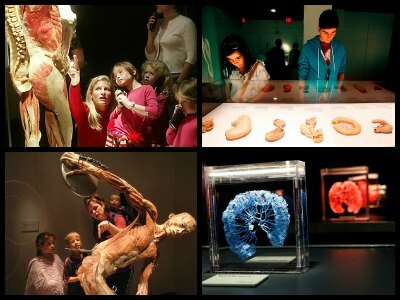 While it's hard to deny the educational aspect of this exhibition, Bodies The Exhibition may not be for everyone, but it still is one of the most popular things to do in Las Vegas with kids. 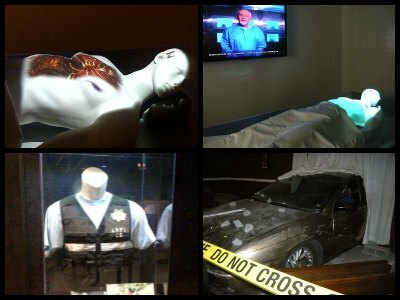 Review: If you enjoy the CSI show, you might like this CSI: The Experience. Playing a role of a detective at a forensic crime lab is among the coolest things to do in Las Vegas with older kids. At this exhibit, you are assigned a case and are supposed to solve a "crime" - that is pretty easy for adults, but might be an interesting challenge for children. Mini Gran Prix is a great thing to do in Las Vegas with kids and teens. 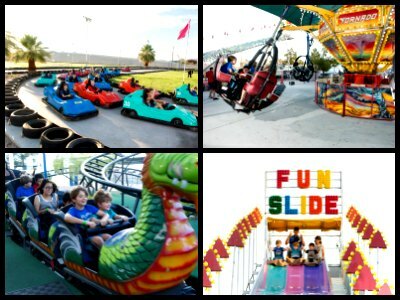 It is also a popular children's birthday party venue with several good amenities like rides, slides, a small roller coaster, mini race cars, an arcade, good food and picnic tables. 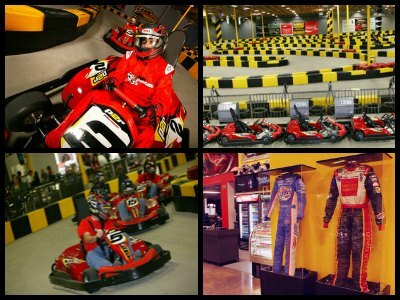 Race with friends in go karts or the sprint karts. The karts are designed to be safe enough for the kids while the staff members are always available on hand to provide help. Time trails are available in Gran Prix cars where you can drive two laps on the winding track on your own, without having to worry about other drivers. The whole family can enjoy this fabulous thing to do in Las Vegas with kids! Feel as though you have stepped into a live video game, with light, sound and action! 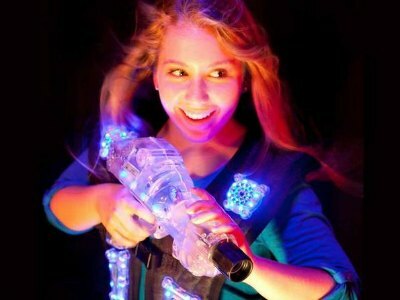 The Laser Tag Facility is located in a 2-story, 5600 square foot venue and the tour offers four different games and 20 arcade tokens. Step into an alternate universe with aliens, foes and murky darkness. The loud music and flashes of light make it even more real. Parents may get a headache, but the kids and teens will love it! Relax afterwards with refillable drinks from the soda fountain and buy a souvenir to take home. Review: According to many reviews, visiting Madame Tussauds Wax Museum is among the coolest things to do in Las Vegas with kids! Madame Tussauds Las Vegas is one of the best in the world. We haven't seen all of them, but we are inclined to believe it - the wax figures of my favorite actors Johnny Depp and Brad Pitt are so realistic it's almost spooky! You will be surprised how small the mega stars actually are in real life...While the museum is just that - wax figures of famous people. You can take lots and lots of pictures with your beloved stars! A small detail - creating a wax figure is a very difficult task. Before they even start moulding, they need to take a lot of measurements and pictures of the stars. If they are making a figure of a deceased person, they are using just existing pictures. For those who prefer adrenaline-pumping action, Pole Position Raceway is among the most exciting adrenaline things to do in Las Vegas with kids. This massive facility has a European style racing track designed by professional drivers where you will be able to drive 18 horsepower racing karts indoors. Designed with advanced technology, these indoor karts are faster than anywhere else in the country. Other than racing, the facility is also home to a large games room with pool tables, pinball and a good view of the track. There is also an arcade with a number of racing games and a good range of souvenirs to purchase like hats and t-shirts. 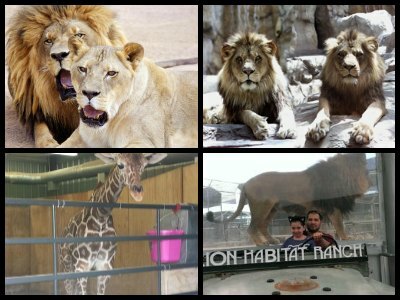 At the Lion Habitat Ranch, you will be able to visit an 8.5 acre ranch that is home to lions that once worked at the famous MGM Grand Lion Habitat in Las Vegas. This sanctuary is home to over 40 lions and many cubs and is among the most interesting things to do in Las Vegas with kids. You will have clear views of the lions playing and lounging inside. There are also 2 options for updates available. You can choose a small group, private tour for a better view, interactive question answer sessions and a guided tour. You can also choose the tamer experience where you will be able to learn how to feed lions, bathe them, train, and clean their habitat. 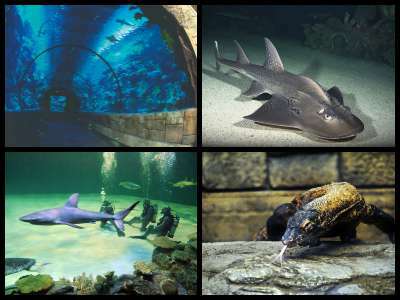 The Shark Reef located at Mandalay Bay is a hugely popular thing to do in Las Vegas for kids, teens and adults alike. It's a large aquarium with many sea creatures, including sharks, lion fish, moray eels, stingrays, jellyfish, exotic freshwater and marine fish, turtles, several crocodiles, piranhas, lizards, Komodo and other scary and not so much animals. The aquarium was designed in such a way as to resemble a temple slowly sinking in the sea. People walk through gorgeous glass tunnels, while the fish and the animals are swimming around. 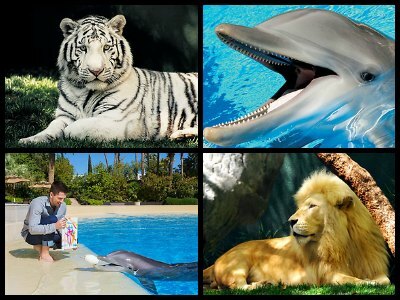 Siegfried & Roy's Secret Garden and Dolphin Habitat is a very exotic place and is among must-do things to do with kids in Las Vegas. It might not be as interesting for adults as for the little children. The Secret Garden is home to rare Felidae animals including Black Panthers, Golden Tigers, Leopards, Lions and extremely rare White Lions and White Tigers. The garden is decorated with elements of Indian and Asian architecture. The Dolphin Habitat features a huge pool where you can watch dolphins through the viewing window above the swimming pool as well as under it. The hotel also offers a "trainer for a day" program where you can participate in training the dolphins all day long! 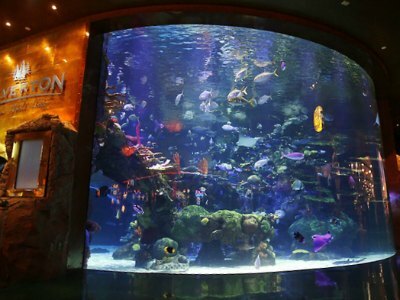 The Aquarium is located in the lobby, so it's hard to miss it if you are staying at the Mirage. It's full of beautiful exotic fish that fascinate both adults and kids. The aquarium is free to check out. 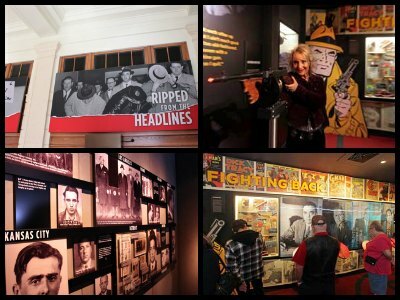 Review: If you are looking for things to do in Las Vegas with older kids and teenagers, be sure to check out The Mob Museum located close to Fremont Street Experience. The museum features old faded photographs of mob members, documents, memorabilia such as hats, canes, scarves, and even guns that belonged to various members of the "Family". There are short films that you can watch if you wish to learn more. If you are interested in the history of Las Vegas and the role that Mafia played in it, include this museum into your Las Vegas must do list! Allow yourself about an hour for exploration of each of its 3 floors. If you are searching for a unique thing to do in Las Vegas with kids, particularly with little girls and teens, then you should take a trip to Aquamermaid. Located along East Bonanza, Aquamermaid is a wonderful way for children to learn how to become a mermaid. There are a number of ways for you to experience this intriguing Las Vegas attraction with your child from taking classes to throwing a party with everyone wearing a mermaid tail. Classes include choosing a customized mermaid in a color of choice before heading into the water to learn how to use the mermaid tail while swimming. 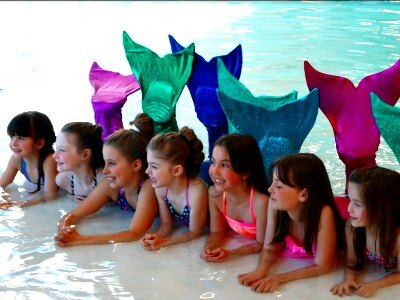 Expert mermaid teachers will determine what level of class your child should attend whether that is novice, intermediate or expert and all participants’ walk away feeling like they are Ariel the Mermaid. Birthday parties are available and include private classes, mermaid memorabilia and you can even watch clips from the Little Mermaid movie while your child frolics in the water with a mermaid tail. Have ever wanted to be a circus performer that got to fly through the air on trapeze? 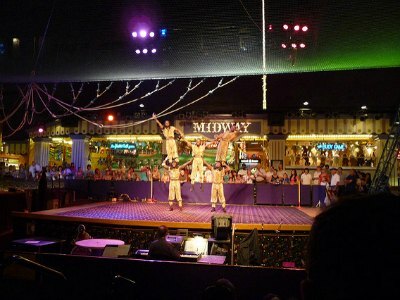 If so then a great thing to do in Las Vegas with kids is to stop by Trapeze Las Vegas. At Trapeze Las Vegas you will be delighted learning all about the art of being a trapeze artist. Professional instructors will give you expert lessons on how to perform this highly skilled artistry as well as safety tips to keep you aware while soaring through the air. 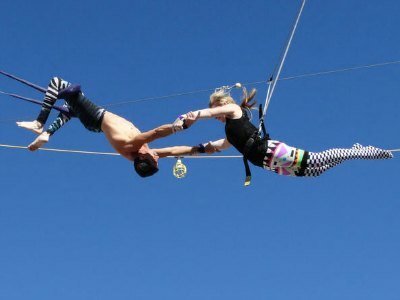 You can choose from a one-on-one learning experience to a full blown circus camp which will have you gliding with ease from one trapeze to another. The Trapeze Las Vegas is a perfect way to spend the day with family while fulfilling those childhood fantasies of being a circus performer. Review: The Natural History Museum is among not to miss museums for little kids. 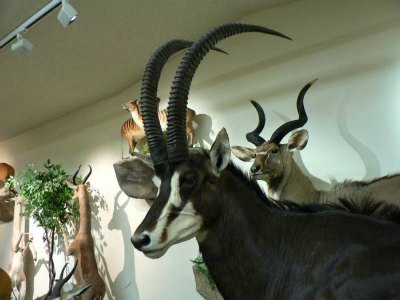 In this museum, your kids will take a journey into the world of nature from prehistoric times to the present day. They will learn about various species of animals, insects, ecosystems and human relationships with the environment. For 2-8 year old boys, there are a few great dinosaur exhibits (our two sons love dinosaurs, that's why I am so sure yours will!). There is also a shark exhibit with a real shark, but it's really nothing you wouldn't see in your local pets store. But you definitely should see their Egypt section - although this one would be more interesting for adults. The museum is relatively small, but it will make a fun thing to do in Las Vegas with younger kids. Review: Lied Discovery is not a regular museum - children can actually touch and play with everything here, all the while learning about the world, arts, physics and other sciences, human rights, geography and life in general. They have many permanent exhibit as well as a few traveling ones, so there is always something new to do for kids! This museum is definitely among the most popular Las Vegas attractions for little kids. Review: M&M's World is an awesome thing to do in Las Vegas with kids! 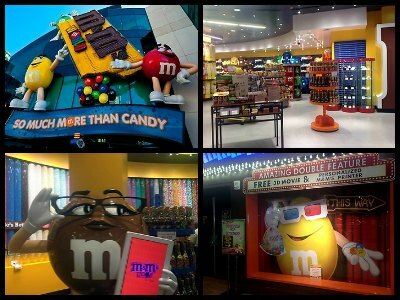 It's a really, really large M&M's store - 4 floors of chocolate pleasure. However, while admission is free, be prepared to spend some money on the M&M's - it's incredibly hard to resist! They have M&Ms of all possible and impossible colors - some colors you don't normally see in a box. By the way, the merchandise is quite affordable. Kids also love the race car on display and the 3D movie that they play. 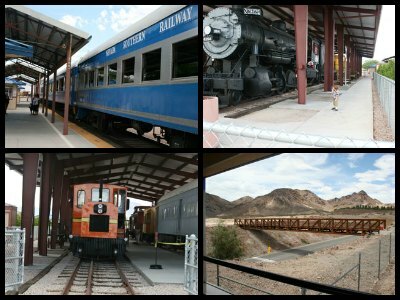 Review: Nevada State Railroad Museum is among the coolest things to do in Las Vegas with kids - paradise for children of all ages, and geeks like Sheldon from the Big Bang Theory! The museum displays old trains and steam and electric engines. There are trains inside, as well as outside, where you could take a ride on a restored vintage train. The museum is pretty small and it will take you less than an hour to see it all, unless you and your kids want to ride a train. There is also a great gift shop in that has a lot of cool stuff to buy as a souvenir. 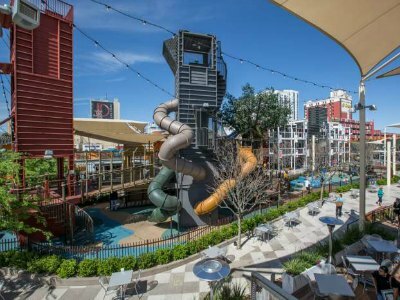 If you are searching for fun things to do in Las Vegas for kids while you enjoy some shopping, then you need to go to the Downtown Container Park. Located on the corner of Fremont and Seventh Streets, the children’s play area at Downton Container Park offers a wide variety of activities children to enjoy. Children of all ages will revel in playing around this superb interactive play area and playground which features a converted container that is now a 30-foot tall treehouse with three fantastic slides of varying lengths. They also have an exciting interactive zone for children which boasts a unique NEOS Playworld System that has numerous electronic games. These interactive games will have children racing around chasing flashing lights which is sure to please even older children. Springs Preserve is a popular thing to do in Las Vegas with kids, built around the first source of water around which the city developed. This is a perfect place to discover the flora, fauna, and the history of the region. At Springs Preserve you will find botanical gardens, hiking and biking trails, colorful gardens that feature Cacti, palm trees, roses, vegetables and fruits. At its Origen Museum you will find live animals such as lizards, cottontails, pocket gophers, grey foxes. The Desert Living Center offers interactive classrooms and workshops where kids can learn about recycling, composting, sustainability and why it all matters. 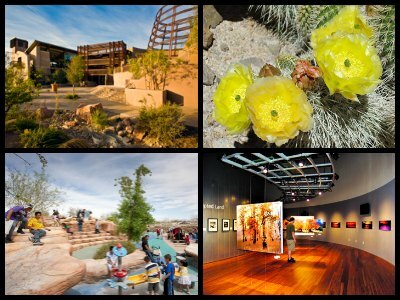 There is also a hidden treasure inside the Springs Preserve - Nevada State Museum where you and your kids can learn more about the development of Nevada from the prehistoric to modern period. Location: 309 S. Valley View Blvd. Review: Nevada State Museum is a little treasure. It's one of the best educational things to do in Las Vegas with kids, as it traces the history of Nevada from the days of yore to the present. It would be interesting to visit for both adults and kids. 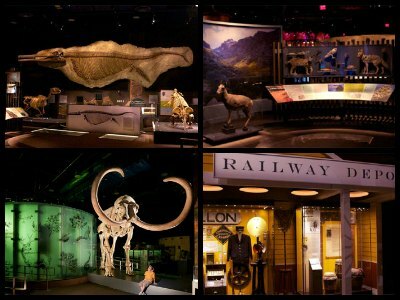 The Nevada State Museum is filled with exhibits from minerals to skeletons of mammals that inhabit Nevada, to descriptions of the first Nations who lived on its territory, to exhibits from the modern days such as costumes of Las Vegas showgirls. Entrance to the museum is included into the price for Springs Preserve. Unfortunately, the museum is only open from Friday to Monday - so plan accordingly! 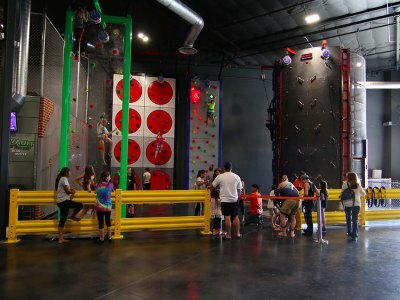 Red Rock Climbing Center is an indoor climbing facility, located close to the Red Rock Canyon and is one of the coolest unique things to do in Las Vegas with kids. The climbing wall itself is 35 feet tall with a number of routes available. 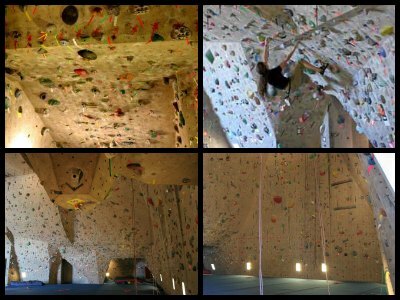 For those who are slightly more experienced, there is a 1,000 square feet area available with challenging roof routes and overhangs. The facility offers a lot of different routes for beginners as well as experts. Climbing lessons, instructors and equipment rentals are available. For those who want to try mountain climbing outdoors, the facility also offers guided outdoor services at the Red Rock Canyon. Private parties and events can also be organized at the Red Rock Climbing Center. 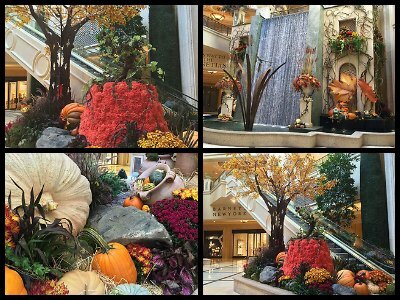 The Palazzo Waterfall Atrium is a beautiful indoor garden that provides a very refreshing break from the action of the Las Vegas Strip. The atrium is open 24 hours and is among best free things to do in Las Vegas with kids. Designed with beautiful foliage, flower arrangements, displays and natural lighting, it is a relaxing place to unwind and take a break. The atrium is located in the Palazzo's Grand Canal Shoppes and features a two-story high waterfall feature as a beautiful backdrop. 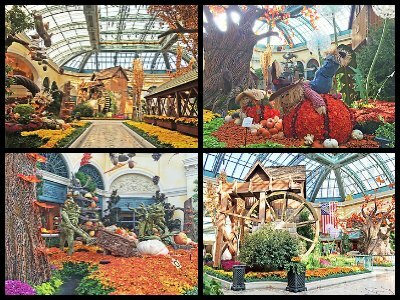 The displays and arrangements are changed every season so you'll always have a unique experience, regardless of the season you visit it in. 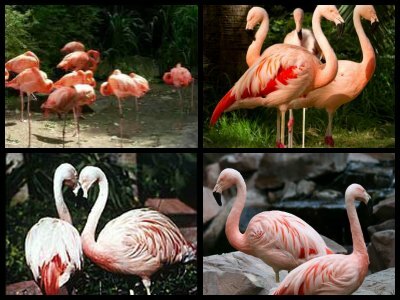 The Flamingo Wildlife Habitat is a not-to-miss thing to do in Las Vegas with kids - little ones will enjoy the variety of birds, fish and turtles. This small Las Vegas attraction for kids is located in the "backyard" of Flamingo Hotel, and you can get there through the Sin City Bar. The habitat is home to swans, ducks, flamingos and many other species of birds. The habitat, along with the hotel's water park, is styled in the Caribbean style, appointed with cascading waterfalls, Caribbean plants and mysterious caves. If you are happen to be passing by Sam's Town Hotel with your kids, make sure you pay a visit to the Sunset Stumpede at Mystic Falls Park - a popular stop off the Strip. The park is a perfect place to relax, unwind and drink coffee while your kids are exploring the area. There are plenty of live trees, small waterfalls, forest sounds and fun animatronic animals that come alive every few hours. Then you will catch a fountain show dancing to the sound of classical music, laser lights animal sounds. Review: Silverton Aquarium is a unique place for young children. Firstly, it's a totally free thing to do in Las Vegas with kids. Secondly, it has a whole variety of different kinds of fish. The aquarium is really huge and occupies the space from the floor to the ceiling. There are several chairs and benches where you can sit and enjoy watching more than 4,000 exotic fish and even mermaids. What? Mermaids? That's right, mermaids! They blow bubbles, interact with kids, dance, flip and twirl. Exactly what you'd suppose real mermaids do. Besides, you can sometimes see divers there. They feed the fish while the guide outside answers any questions you or your kids might ask. The divers can also answer questions and share some cool facts about the aquarium and the fish there. The mermaid art gallery is definitely worth checking out. The Botanical Gardens is a great place to visit with kids, and not just because it's free and open 24/7. It contains stunning color compositions that smell incredibly and change all the time depending on the seasons or holidays. Harmonious addition of floral displays is their combination with gazebos, bridges and, of course, fountains - which corresponds to the general style of the hotel. Its other major attractions are Dancing Fountains and a very beautiful show by Cirque du Soleil - O. Review: Your kids might enjoy a free visit to one of the sweetest places - Ethel M Chocolate Factory. 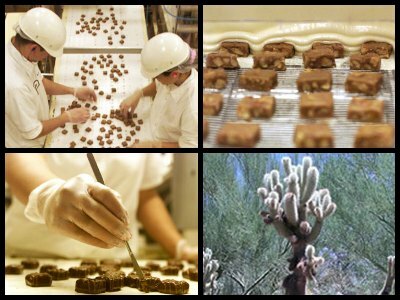 They will see with their own eyes how their favorite chocolates are made, and will be able to taste the samples! Besides, they also have beautiful botanical gardens right behind the factory - they have one of the largest collections of cacti in the U.S! Just remember to bring plenty of water especially if it's summer - it's pretty hot outside in the gardens. Tip: as the factory is located in Henderson, it might be a little expensive to hire a taxi just to get there. If you are interested you could combine the visit with a Hoover Dam tour and they will drive you there - it's right on the way anyway. Price-wise, it would be almost as expensive as hiring a taxi to get to the factory from the Strip! But it's worth a visit if you own or have rented a car. Review: If you are looking for free things to do in Las Vegas with kids on a hot sunny day - the Pinball Hall of Fame is your answer! I promise you will have a blast - and maybe even a blast from the past - if you have played pinball or arcade games as a kid you might even find your favorite ones. 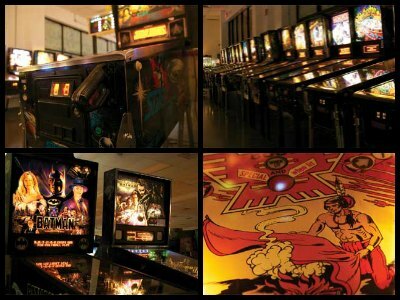 They have the largest collection of pinball games - from vintage to modern, with games costing from 25 to 75 cents. This is not a place where pinball machines come to die - they actually restore old machines so you can enjoy them for years to come. Their oldest pinball machines date back as far as 1900, and you can still play them! That's one of Las Vegas attractions for kids and teens not to miss ! 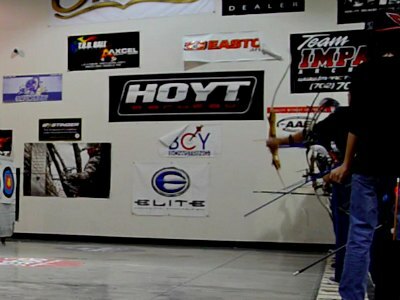 Whether you just want to practice honing your archery skills or play in an exciting game of archery tag, an ideal thing to do in Las Vegas with kids is to stop at Impact Archery. This indoor archery range has numerous stalls that range in shooting size from 5 to 20 yards for you to practice shooting arrows. There is a wide variety of equipment you can rent and visiting Impact Archery Las Vegas is a fun way for families to spend time together. You can learn more about archery safety as one of the expert marksperson will guide you through everything you need to know about archery. Families and groups will also be pleased with a game of archery tag which is similar to paintball but with arrows. As you travel the indoor course you will shoot at opponents as well as targets to see who can get the highest score for marksmanship. Impact Archery Las Vegas has one of the largest archery stores in the USA and you can be assured that all equipment will be state-of-the-art quality. 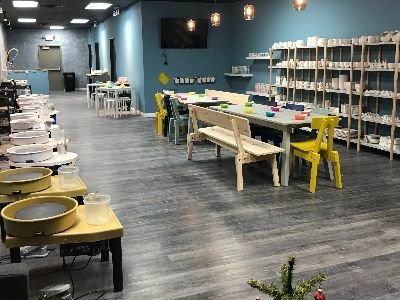 Lunar Pottery if one of the coolest new things to do in Las Vegas with kids in 2019. All experience levels are welcome to create at Lunar Pottery. There are pottery wheels, hand building and painting (glazing in a painterly fashion). To throw, you must be at least 10. There is no minimum age limit for painting & hand building participants must be at least seven. To paint, you can choose an unpainted ceramic bisque and/or create your own, unique piece(s) on the wheel. There are forty-five glaze colors that can be mixed. The teachers have a menagerie of cool, useful hand building projects at the ready. Up to nine people over the age of ten, can learn how to throw on the potter's wheel at once. They specialize in classes and parties from 5 to 25 people. For parties, call ahead to schedule an appointment. They can ship your work to your home for an additional fee. When you want to find a great thing to do in Las Vegas with kids that involves everything from video and arcade games to bowling to thrill rides then you should go to GameWorks. Located within Town Square on the Strip, GameWorks is an 8,700 square foot modern multi-dimensional game room which features plenty of activities that are ideal for children, teens and adults. While at GameWorks you can go bowling, play pool and there are 40 PCs, 20 Xbox One consoles, 10 Wii U console games as well as CRT Tvs for Smash Melee in the eGaming Arena portion. You can play numerous video and classic arcade style games or just sit around watching your favorite sporting event. There are more than 100 ticket redemption games so families can see who can collect the most tickets while playing the games and there are terrific prizes in the redemption center. Another don’t miss item at GameWorks is the thrilling Dark Ride XD which is a multi-sensory thrill ride with 7D graphics that provides for non-stop action. When you are searching for a fun thing to do in Las Vegas with kids then a great idea is to take you family to the Fun Dungeon. 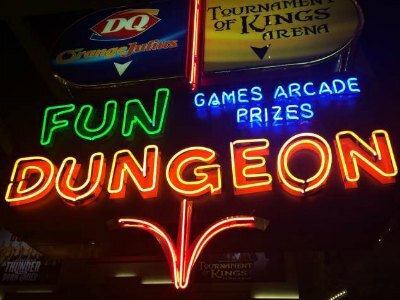 Located within the Excalibur Hotel and Casino, the Fun Dungeon is a perfect place to spend some time while playing one of the 200 games. While you are at the Fun Dungeon you can play 15 carnival style games such as ring toss or try one of the shooting galleries and there are 10 children specific games within Kiddie Land. You can try your luck at one of the 106 ticket redemption games like skeeball and see who can accumulate the most tickets in the family. There are more than 60 modern arcade games that range from pinball to Pacman to Mega Stacker. Fun Dungeon has 10 sporting games like air hockey and foosball that will bring a little competition to your family time. Another great attraction at the Fun Dungeon is to take the kids on a 4D movie experience where you will watch three short movies such as the Man of Steel, The LEGO Movie and San Adreas. If your family loves a carnival type atmosphere then the perfect thing to do in Las Vegas with kids is to stop at the Circus Circus Carnival Midway. Located within Circus Circus Hotel and Casino, the Circus Circus Carnival Midway is packed with carnival style and arcade games. Once inside you can go from playing skeeball to whack-a-mole to knocking down milk bottles with a baseball. 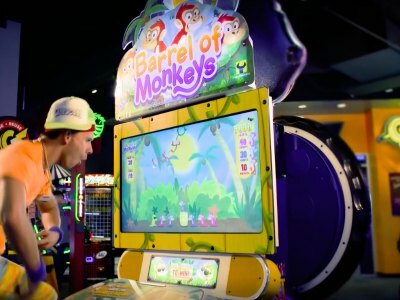 There are over 200 games for you to experience from classic pinball to modern video games to ring toss and you can collect tickets which you can exchange for prizes. While you are at the Circus Circus Carnival Midway you can also watch numerous circus acts for free while continuing to play with the games. Don’t forget to take the kids to the Adventuredome too where you will find 5-acres of exciting indoor rides that range from bumper cars to an old fashioned carousel to exciting thrill rides such as the Lazer Blast and the Inverter. If your family wants to experience the adrenaline rush of jumping on a series of trampolines then a great thing to do in Las Vegas with kids is to visit Gravady Trampoline Park. 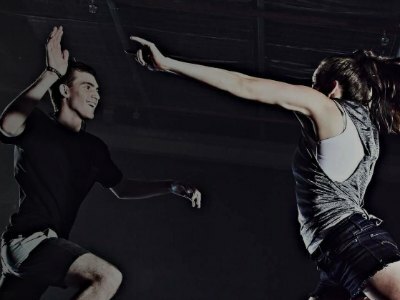 Located within a 30-minute drive from the Strip, Gravady is situated in a 36,000 square foot facility that features 60 trampolines that cover more than 25,000 square feet. 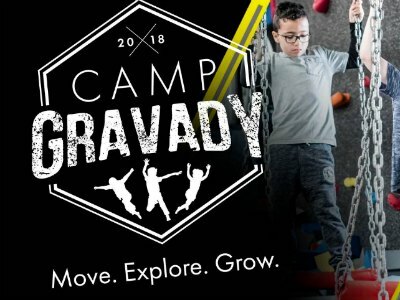 When you visit Gravady you can jump around on several exciting attractions that include an Extreme Jump area where you can practice flips and other acrobatic moves. There is a challenging Ninja course and you can try Airdunk where you can slam the basketball with the help of trampolines. Other interesting attractions include Extreme Dodgeball, a Slackline and you can learn how fly on a Trapeze as well as practice your Cirque du Soleil moves on the Aerial Silks. Children will find the foam pits perfect for bouncing around too. Gravady offers several themed nights such as club night, family night and college night as well as a charity night to help underprivileged children around the world. Location: Boulevard Mall - between Macy's & Goodwill: 3528 S. Maryland Pkwy. 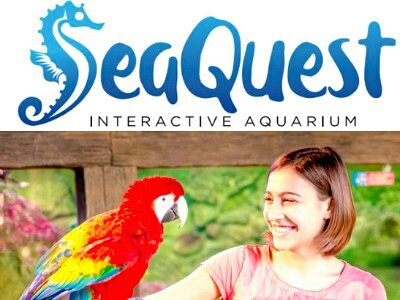 When your family wants to learn about marine life in a fun interactive environment then an ideal thing to do in Las Vegas with kids is to take a trip to Sea Quest Interactive Aquarium. Located in the Boulevard Mall, Sea Quest Interactive Aquarium is packed with interactive exhibits which are designed to educate, inspire and allow families to discover the natural wonders of the world. While you are visiting the interactive aquarium you can walk through the rainforest, a desert and view the marine life which lives in the oceans. The Sea Quest Interactive Aquarium features 1,200 animals from 300 species which live around the world for your children to view, touch and learn about. There are tropical birds, reptiles and plenty of marine life which will keep your family learning and entertained throughout your visit. Don’t be surprised when you see animals like stingrays, sharks, toucans, turtles and caimans. Many of the animals are available for children to hold and feed as they learn about the various eco-systems in which the animals live. Families that are looking for an exciting thing to do in Las Vegas with kids will have the time of their lives while jumping around all of the trampoline style games at Get Air Las Vegas. Located 10-minutes west of the Strip, Get Air Las Vegas features exciting trampoline oriented activities that are family friendly and will surely have your heart pumping as you fly around. Once inside you can jump until your heart is content on the wall-to-wall trampolines and you can hone your basketball skills while slamming the ball through the hoop. Other interesting activities include dodgeball, a ninja challenge course, a rock wall and there are plenty of safe places for toddlers to play such as the kiddie court which is packed with fun filled trampoline attractions. When you are tired of jumping around try one of the massage chairs to help bring your body back to life. A great thing to do in Las Vegas with kids of all ages is to try bouncing around on the hundreds of trampolines at FlipNout Xtreme. 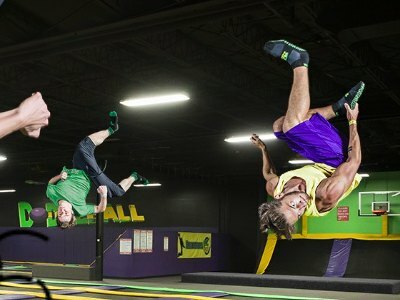 Located in Henderson, FlipNout Xtreme boasts 12 trampoline style activities and four unique indoor activities that will keep you and family hopping all day long. Once inside you will be thrilled with the Extreme Jump portion which includes eight thrilling trampoline courses that include the drop zone; freestyle air bags for extreme acrobatics; a large wall-to-wall trampoline section; the ninja course as well as the ladder will challenge your body strength and mind. The obstacle course is great fun for a family challenge and tumble tracks will have you doing flips. The Trampoline Sports area includes a friendly game of basketball, playing dodgeball, jousting with your family and there is a slackline waiting for you to conquer. Additional activities at FlipNout Xtreme include a laser tag game, an arcade, a superb zipline course and there is a jungle gym section for children under 12 years of age. When you are ready to spend some time jumping and playing numerous games with family then an ideal thing to do in Las Vegas with kids is to stop at the Sky Zone Trampoline Park. Located a short distance off the Strip on Dean Martin Boulevard, the Sky Zone Trampoline Park offers nine different exciting trampoline style games and courses for you to experience. During your time at Sky Zone Trampoline Park you will be thrilled with the variety of trampoline oriented attractions which include a wall-to-wall trampoline for jumping around; a Skyladder which will test your balance and strength; the foam zone is ideal big air fun and the ultimate dodge ball game is a blast while flying through the air. Other attractions include a unique Skywall, a Skyninja course that is suspended 22-feet in the air and the Skyjoust is perfect for a medieval type dual with your kids or play a great game of basketball at the Skyjam. Don’t worry if fall on one of these attractions because you will bounce right back up with the help of the numerous trampolines.